Following the end of the two-phase Major Line Closure taking place between Monday 31st July and Saturday 2nd September 2017 to allow for work at Northumberland Park station and track and bridge renewal work which forms part of the £350m Metro: all change modernisation programme, this vehicle has been retained at Riverside Depot. 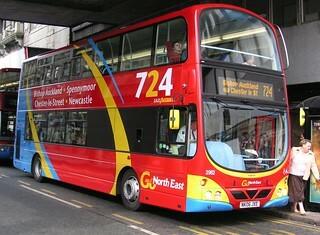 Though originally expected to be withdrawn from 3rd September 2017; this vehicle will instead be retained until after the Great North Run, to assist in the coverage of extra vehicle requirements for this event (up to an additional 90 buses). 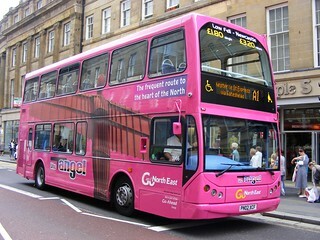 This vehicle has gained "Angel" branding and has entered service at Chester-le-Street Depot. 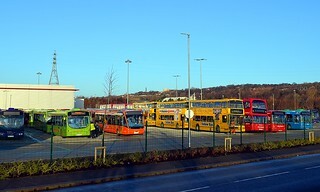 Previously with Go-Ahead London General as fleet number EVL20, this vehicle has been acquired by Go North East and allocated fleet number 3966. 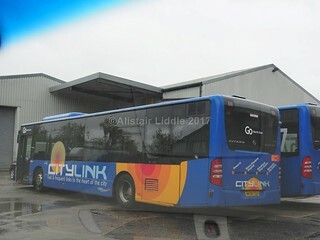 It is currently at Thornton Brothers, Ashington, undergoing a pink repaint and full refurbishment.